A Spiderwich evening for everyone who has read the books or seen the movie. There will be trivia, crafts, and quizzes - AND door prizes! This is a don't miss for fans! Friday night at the library - awesome. Saturdays and Sundays, at 11:30 a.m.
to make reservations please call 353-9131. No experience needed to swosh down the hill 800feet!!! Wow, what a thrill! There's even a tube lift to pull you back up to the top. Park is closed down at temps colder than -20*F.
*all tubing passes & punch cards expire 31 March 2008. Buy tickets at www.flot.org or one hour before showtimes. This looks like a really fun one for the kids. Click on the link below to see a schedule of the events, some of then quite silly! Saturday and Sunday look to be the most fun days. A few examples of the wacky events: jump rope contest, hula hoop contest, donut eating contest, egg toss, limbo contest, bubblegum blowing contest, grungiest carhartt contest, arm wrestling...check out the link. Oh ya, the main event, the tripod raising on the Tanana river on Sunday at 3:30pm. Deborah Ford(international speaker and award winning media specialist) discusses books boys will read; books that are funny, action packed, trivia filled or gross. You'll receive a handout of the books. This is for parents and educators, but thought I'd post it anyway since it will serve our young boys out there. Books can be more exciting than an xbox game - really!! What a great way to spend a cold evening...amongst friends at the Festival! Parking is free and easy after 6pm on campus, so take the kids for a festive night of native performances, arts & crafts fair, inter-tribal powwow, and traditional potlatch. You'll smile and stomp your feet as you watch these mesmerizing performers!! Fairbanks Light Opera Theater will present an exciting interpretation of classic Dr. Seuss works. It's for the 3 and up crowd and their families. Family program at Museum of the North! Learn how paleontologists interact with fossils. There will be real fossils from the museum's collection. Kids will learn about dinosaurs and Pleistocene mammals from Alaska's past. How cool is that? If you haven't played Apples to Apples Game yet, you must. It's a card game of "hilarious comparisons". There will be a tournament with prizes. It's a great family game, and one of the most popular, fastest growing games available. There will be a tournament every Sunday 'til March 30th. I would guess this is probably for ages 8 up to adult. There is a Junior version available in the stores, but I don't think they're playing that one in the tourney. 374-0468 or visit the Coffee House for more info. Wow, a chance to see Mary Poppins and her umbrella on the big screen! Denali National Park - Down in Denali and Healy, they're going to celebrate winter with lots of cool (pun intended) events: Dog mushing demonstrations, ski tours, snowshoe walks, snow sculpture contest, kids' games, and MORE. Click on the Winterfest Link above to find the scedule of events. It looks like most of the events I listed above are happening Saturday from 9am - 4pm at the Murie Science Learning Center in the Park. A night of storytelling, or as they say on their website "avian folklore"! Take the whole family. This a fun group of young people excited about making change to help keep the earth a clean place to live. They are very welcoming to new members, and like to work hard on really cool projects they plan themselves. They meet every Wednesday. For Junior High and High School age. This workshop explores the lives of winter birds, and just how do they manage to survive in this cold climate!! What a great way to spend an afternoon. The Bird Observatory is a fascinating place tucked away in an unexpected place in the forest. Check it out! Parents & Two's Storytime sign-ups! The wonderful librarians in the Berry Room at the Borough Library will host a storytime for two year olds and a parent/caregiver. The little ones love the magical times in the story room with all their peers. Bon Voyage, Charlie Brown (and don't come back)! ** The fee is refunded if you enter your sculpture in the Amateur Open Division of the Ice Art Championship!!! Come out with an idea of what you'd like to create, and they'll teach you how to sculpt it. I"m guessing not for little kids, but thought some of the older kids in Fairbanks might be interested. Call to see if there's an age minimum. Bring a lunch. Hot drinks and tools provided. First championship race of the season. Skijoring and dog racing, with indoor and outdoor viewing. 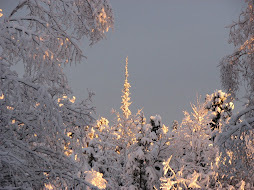 This is the one stop blog for kids' events in Fairbanks, Alaska. Check in daily to discover all the cultural opportunities our unique community has to offer families. Create a great day!